For our fifth instalment in the London’s Best Commuter Towns series, we look at the wonderful county of Hertfordshire. Situated to the north of the capital, Hertfordshire benefits from having fantastic connections to London (especially to Kings Cross) and its other bordering commuter counties such as Essex, Bedfordshire, Cambridgeshire, and Buckinghamshire. Despite its primarily rural setting, Hertfordshire has been attracting commuters for hundreds of years thanks to the river Lea providing quick transportation for boats to east London. 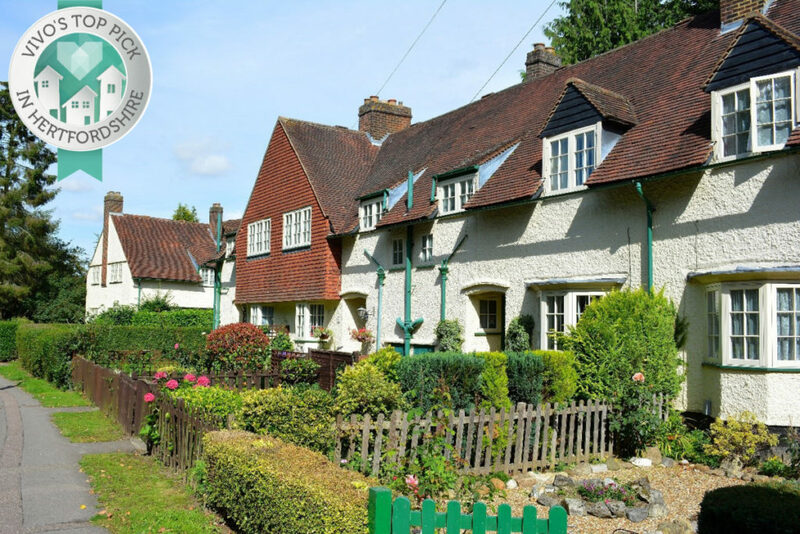 Nowadays, Herts has an abundance of attractive places to live, from established market towns to cute, quainter villages that can provide residents with a peaceful way of life at a slower pace. In addition, Hertfordshire is home to several Garden Cities and New Towns, specifically designed with the residents’ quality of life in mind to enjoy both a city and countryside lifestyle – something that definitely attracts London commuters. First off, we look at the attractive St Albans. 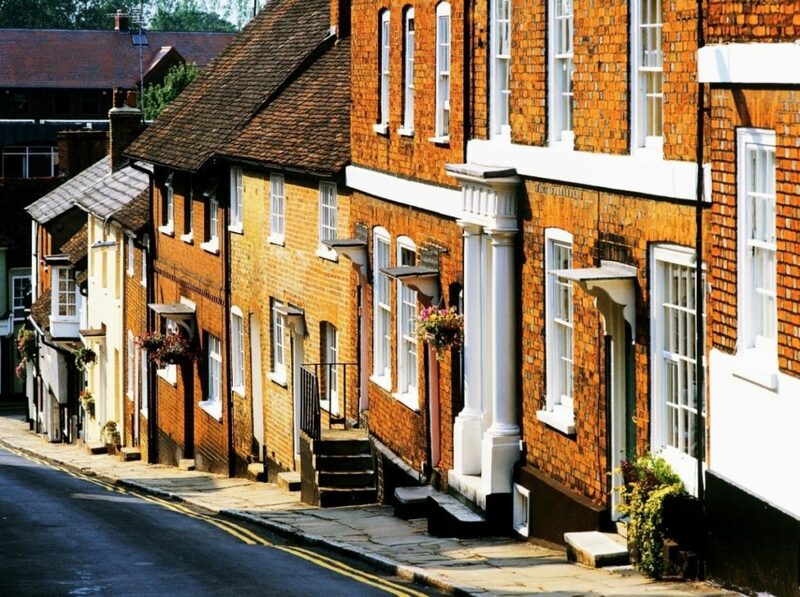 While not strictly a ‘commuter town’ in the sense that it is a city, St Albans has long been a favourite for those looking to leave London for a more peaceful way of life. The location boasts a picturesque medieval city centre and stunning cathedral, whilst still retaining its close-knit feel with regular Farmer’s Markets and an abundance of independent shops. The pleasantness of St Albans is further reinforced with its attractive Georgian and Edwardian properties, and while the average house price is quite expensive for Hertfordshire, commuters with a larger budget can get a fantastic abode with real character. St Albans is also full of cultural and arts events and is even home to CAMRA (Campaign for Real Ale) which sees the town having some fantastic pubs and a popular Beer & Cider festival too. While you may never want to leave this quaint city, St Albans is extremely well connected and only half an hour away from the capital by train. Furthermore, it is close to major transport links such as the M1, A1 and the M25 so residents do not feel too detached from the rest of the world. For families looking to move to St Albans, it has a strong education system. The independent St Albans School has an outstanding reputation and interestingly, previous attendees include world-famous theoretical physicist Stephen Hawking. Other schooling options include the Sandringham School, which has academy status as well as the St Albans High School for Girls (independent). Overall, St Albans provides a fantastic quality of life to its residents, which already sees it having a large commuter population. While it may be more expensive that other Hertfordshire locations it can be viewed to be the county’s cultural centre with its fascinating history. Interesting Fact: In 1946 Stevenage was Britain’s first New Town, featuring the UK’s first pedestrianised city centre. 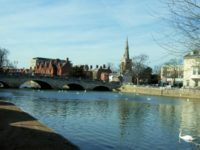 If you are looking for a more affordable area to live in Hertfordshire, you may find the prospect of relocating to Stevenage a viable option. The average house price here is just over £300,000 and as the UK’s first ‘New Town’, the design of the town has incorporated an abundance of family-focussed housing. If you are seeking a property with a bit more ‘character’, Stevenage’s old town may be the best place to start your search. This area of Stevenage predates its expansion as part of the New Town Act in 1946 when it was a small farming town. It has a delightful countryside feel and the small-town centre in the Old Town has medieval charm. In addition, Stevenage also has fantastic transport links, with regular trains into London Kings Cross and Moorgate which can see commuters get to work in a shorter time than many of their London-based colleagues (24 mins). There are also more plans in the pipeline to improve its already impressive rail system with direct trains to Farringdon, London Bridge and Gatwick Airport being planned for 2018. Overall, Stevenage appears to have lots of areas for growth in the future, with a £19 million-pound redevelopment of the town centre set to commence. Therefore, it may be an ideal time for any property buyers to invest in Stevenage. While house prices are currently at an affordable level, there is certainly a strong indication that with the scheduled investment in Stevenage house prices may rise in the area. So, Stevenage may be a great option for first time buyers to get on the ladder and get real value for their money. Designed in the early twentieth century by social reformer Ebenezer Howard, Letchworth was the world’s first Garden City and was planned on the foundation of providing residents with a high quality of life, incorporating urban and countryside living. This focus on residents’ wellbeing is a big factor as to why Letchworth is a popular place to live for people working in London. Additionally, the egalitarian focus of Letchworth’s conception has ensured that no specific areas of the town are more/less desirable than others, meaning that finding a suitable property is less hassle than in other commuter town locations. Furthermore, there was a big emphasis in Letchworth’s design for each house to have a garden, so relocating from London can allow residents more spacious living in a town where good health is a priority, making it a great place to raise a family. Letchworth also has two well-regarded public schools, St Francis’ College for Girls and the forward-thinking St Christopher School – which is a vegetarian boarding school for boys and girls. Indeed, Letchworth is a very environmentally conscious area that supports a healthy, outdoor lifestyle which is great if you’re tired of London living. It has a popular outdoor lido as well as Broadway Gardens with its pretty flower beds and signature water fountain. If you desire an active lifestyle, you may enjoy Letchworth’s Greenway which is a 13.6-mile circular path around Letchworth and the surrounding countryside, full of space for outdoor pursuits. While it is slightly further out than other commuter towns (38 mins to Kings Cross) it does offer a complete detachment from life in the capital. Interesting Fact: Hatfield Business Park has been a filming location for both Saving Private Ryan and Band of Brothers. If you’re looking to commute from Hertfordshire but want to remain a short hop, skip and a jump away from London, Hatfield may be your ideal location. It is only 20 miles from central London meaning you can get to Kings Cross in 24 minutes. Moreover, its proximity to the capital sees an annual train ticket coming in at £2,632 – far cheaper than surrounding commuter towns. Residents of Hatfield are also close to both Luton and Stansted Airport too, so it benefits from great connections. 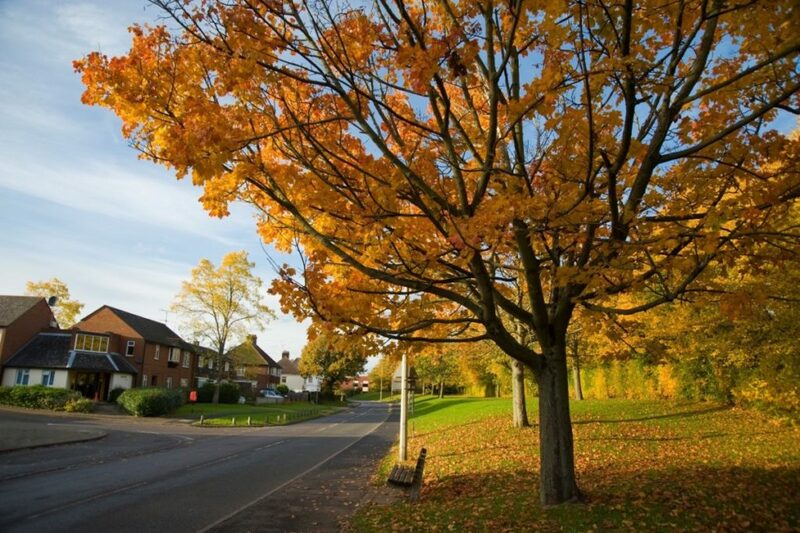 Like Stevenage, Hatfield has an old town area that is full of character and is the most popular place to buy homes in. Property in Hatfield is less economical than places slightly further out, with the average house price coming in at just shy of £430,000, but it does boast of an impressive education system. It has the well esteemed Queenswood School (independent) as well as Bishop’s Hatfield Girls’ School and Chancellor’s School too. In addition, the University of Hertfordshire is based in Hatfield which adds some youthful exuberance to the town’s atmosphere. If you’re into fitness, the University is home to Hertfordshire Sports Village (open to the public) and there are state of the art facilities for a wide array of different activities. If you’re looking for more peaceful pursuits, you can pass time in the large Hatfield Park which is home to Hatfield House. This stately home is an incredible example of extravagant Jacobean architecture and there are several pleasant walks about you go on if you’re an outdoor person. Overall, Hatfield is conveniently located and connected to London which is ideal if you want a short commute and get your foot on the property ladder. 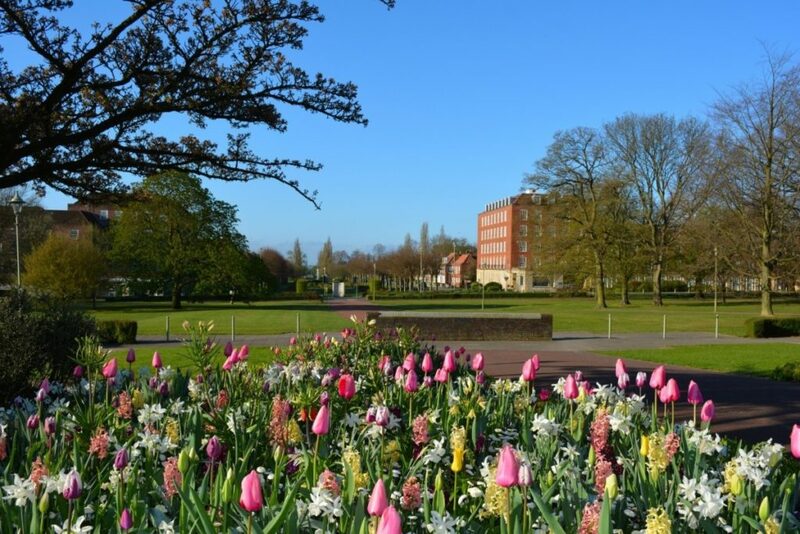 Finally, we look at Welwyn Garden City – a unique town in the sense that it has been designed as both a Garden City and a New Town. As the town’s conception has been carefully planned to promote a good quality of life, it can be an ideal location for those looking to relocate from London. House prices are slightly more affordable than neighbouring St Albans or Hatfield, with the average house price coming in at under £400,000 so you could get a good investment here amongst pretty and peaceful surroundings. With regards to commuting, you can get into Kings Cross in just over 30 minutes and the annual train ticket comes in at under £3,000. It is also close to the A1 and M25 if you’re looking to drive too. 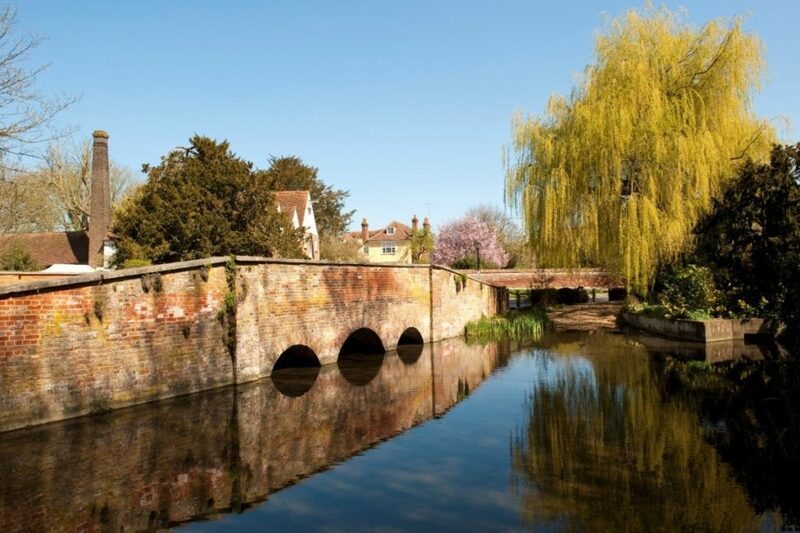 In terms of living in Welwyn, the town is close to the idyllic Stanborough Park which features a boating lake and has the River Lea running through it too – perfect for country walks in the summer. Moreover, there are lots of leisure activities in and around Welwyn such as Knebworth House which hosts large concerts, as well as smaller family activities such as an Adventure Playground and Dinosaur Trail. For slightly older kids, Welwyn is also close to Gosling Sports Park where you can learn to ski and snowboard! Indeed, this town is an ideal place to raise a family away from the capital with houses purpose built for families and plenty of activities for youngsters. In terms of education, the independent Sherrardswood School has a fine reputation as does Monk’s Walk School. Overall, Welwyn can give residents a great quality of life in a spacious, family-friendly environment. It is great for those who are looking for a greener environment to live in and a slower pace of life. As Letchworth offers residents a fresh break from life in the capital, we have voted Letchworth to be the number one commuter town in Hertfordshire. For us, it encapsulates what a commuter town should be. It is pleasant and roomy and this is reflected in its properties too. Furthermore, it has a strong educational system for young people looking to start a family in an affordable area. It can provide people with the quiet, outdoors lifestyle difficult to achieve in London. If you’re looking to relocate from London, perhaps you’re after a quick house sale, why don’t you check out other areas in our series such as Essex, Kent, East Sussex and Surrey.